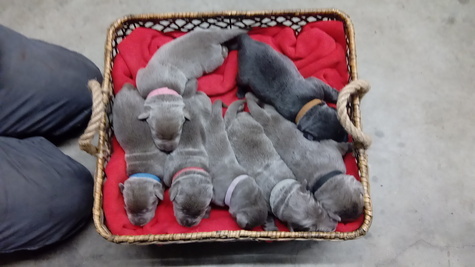 Stunning silver and Charcoal Labrador Puppies for sale AKC Registered!! born October 26th. Ready for their forever homes by Christmas!!!! $250.00 deposit to hold the puppy of your choice. Remaining amount due on pick up. Dew claws removed,up to date on shots and Veterinary visits. Damn and Sire have excellent pedigrees and hunting backgrounds. Damn and Sire have wonderful despositions. Puppies are played with daily and are very sweet.